Unfortunately no matter how hard you try there is still probably a 90% probability that your project will suffer from Scope Creep. Therefore having the "soft" skills to successfully managing and controlling scope creep is an absolutely vital trait for any successful project manager to have. Now normally I would always advocate being flexible with project management process because real world problems rarely fit neatly into one. However this is one of those rare cases where strict compliance can actually pay dividends. The reason being that forcing people to raise Change Requests which can then be impact assessed is a great way of reducing any momentum such potential scope creep changes will have generated whilst enabling the project manager to remain in control. Further it gives the project manager time to properly assess whether the change can be accommodated within the project and if not, then find a way to bin it by either insisting some existing functionality is de-scoped or else the budget or timeframe are increased as a result. 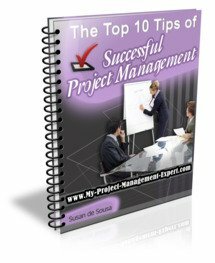 This is always vital in delivering a successful project as well as in managing scope creep. Having a good relationship with the Project Stakeholders means you can discuss and resolve more issues verbally, rather than having to generate reams of documents. Further it means that you will have greater leeway to manage the project as you want, safe in the knowledge that you have the backing of your project stakeholders. This may sound like an odd one, but by doing this you will make life much easier for yourself on a project. Imagine this; You have a choice of telling your project stakeholders that the project will be easy to deliver, has plenty of resources and will come in under budget whilst meeting the timeframes. What sort of impression does this give the team and stakeholders? Well of course that there is the potential that scope can be increased without it causing any problems to project delivery. Now imagine that instead you have been telling your stakeholders that the resources are tight as are the budget and timeframes, but that as long as scope doesn't increase you should be able to deliver the project on time. With this kind of message how many project stakeholders will try scope creep in the full knowledge that if the project doesn't deliver it could be attributed to them. I've used the word good rather than accurate initial estimating and planning for a reason. You don't need to be accurate, you simply need to ensure that you have somehow included enough contingency in any estimates so that if you are forced into implementing scope creep that you are able to deliver it should it be required. Managing and controlling scope creep is an incredibly hard thing to achieve. However remember that whilst ensuring the project remains on track, you also need to ensure that you are not perceived by the Organisation as intransigent or a blocker. Follow the points above and you should be able to avoid this.